With all the images in the news of flooding due to Hurricanes Florence and Michael, you may be wondering what to do if you have a similar emergency. Natural disasters like storms aren’t the only things that can cause your home to flood. You could experience a burst pipe or other water system malfunction that causes water to pool. It’s important to know what to do in these scenarios and to be prepared before they happen. Here’s an outline of what steps you should take when your house floods. Keep your insurance documents in an area easy to access. Once your home has flooded, you want to be able to reach them quickly. Depending on the cause of your flooding, the costs to repair damage may be covered by your homeowners policy or a separate flood insurance policy. Remove these documents and keep them somewhere safe away from the flooding. 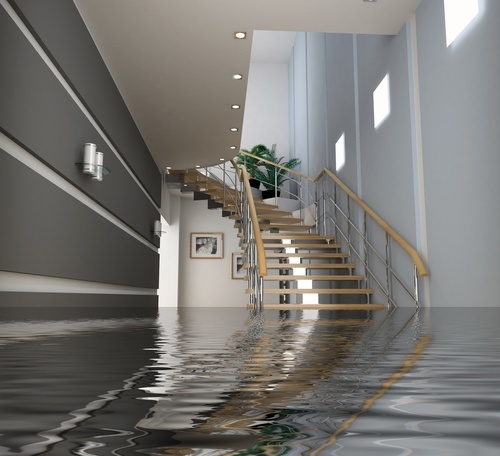 For more information on insurance, see our earlier blog, Do You Need Flood Insurance?